Two biggest World class MMA organization now is one more biggest team & works for unification ! In start of 2018 two powerful in world amateur sport MMA organizations continues negotiations and have positive result in unification on MMA sport in the World. In this year all events was under umbrella of cooperation of both organizations. It was some European, Asian and world championships for Juniors and Adults which was organized together by IMMAF & WMMAA. 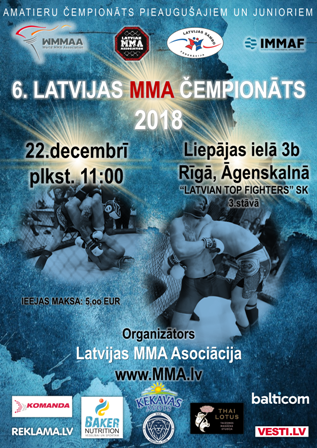 22nd - 23rd of December in Latvian Top Fighters Gym in Riga will hold next Latvian MMA Championship for MAle & Female Adults and Cadets 16-17 years old. This Event will start 23rd at 10am, Liepājas street 3b (Second floor). 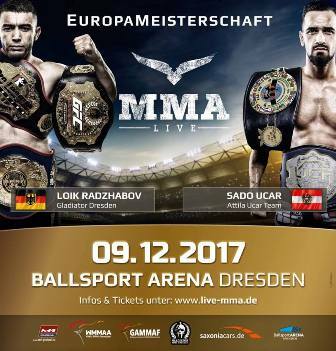 From 7th till 9th 2017 Dresden, Germany will hold next main Event in European Continent - European MMA Championships for Adults. EURO'2017 organizers GAMMAF and WMMAA already has made last prepations and now it's anonsed that more that 30 countries will take part in this championship. 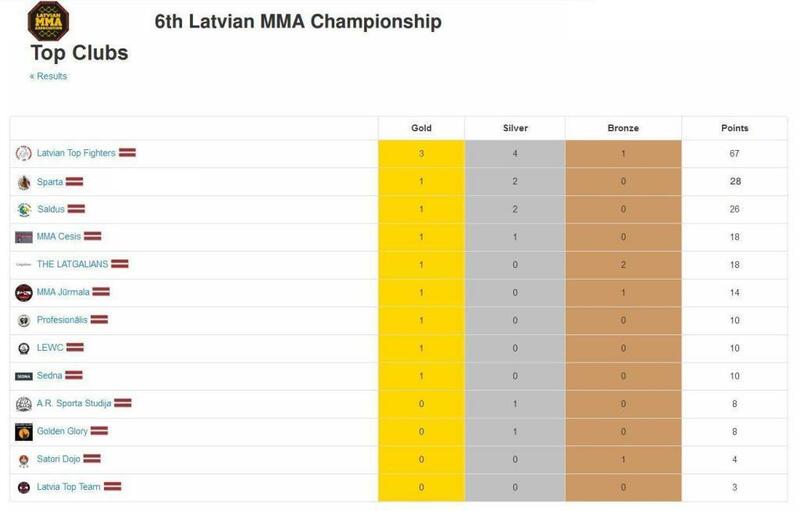 Latvian MMA Association will participate in this championship too. 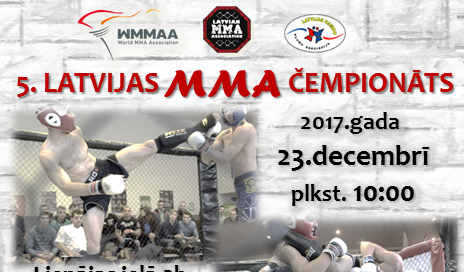 1st World MMA Championships 2017 for Youth 16-17 y.o. 04th of February 2017 in Amsterdam was hold WMMAA European division meeting. 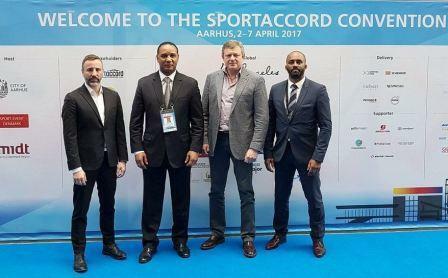 In this MMA event took part the President of WMMAA Mr.Vadim Finkelshtein, WMMAA Vice-president from Pan-Amerikan Division Mr. Tomas Yu, WMMAA European devision vice-president Viktor Frolov, Asiaa division vice-president Suresh Gopi and representatives from National MMA orgaizations of Europe. From our organization in this meeting took part the President of Latvian MMA Association Mr. Vjacheslav Semenkov. In this meeting was accepted The Caledar of Event s 2017, and some Business solutions was done. 20-21st of October 2016, Russia, Sankt-Petersburg was hold European MMA Championships. Each National Team must have not more than one competitor in each waight calss (61.2kg; 65,8kg; 70.3kg; 77.1kg; 84.0kg; 93.0kg; virs 93.0kg). First time all expances for travel, food and accomodation have to pay National MMA organizations. Our team has 3 fighters - Didzis Verbickis, Valery Mikalauskas and Valery Tushinov. Unfortunately no one of them was successful in matches and finally they have no wins, anyway we have medal in our team. The Bronze medal was go to Valery Mikalauskas. MMA Instructor's Seminar with honest guest. 27th of December 2015 in Latvian Top Fighters Gym have held MMA coaches seminar which was conducted by World Combat Sambo champion and Russian MMA Union Vice-president Artur Korchemny. 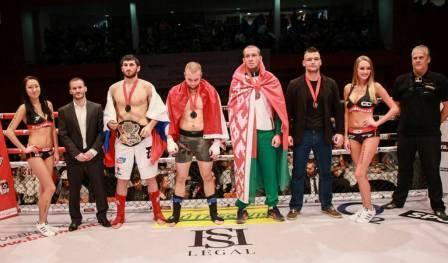 Latvian fighter Hasan Mezhiev won Silver medal in Amateur World MMA Championships 2015! 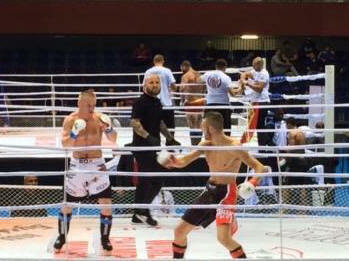 Latvian fighter in Final of World MMA Championship, was held 26th of November 2015 in Prague, Czech Republic, weight class - 93kg. In Final match he mitt Russian fighter. 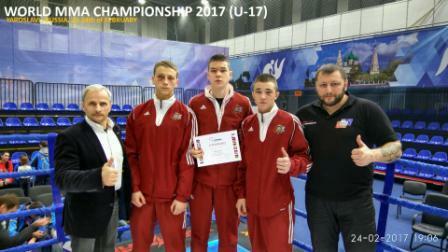 Latvian competitors took place in European MMA championship 2014. 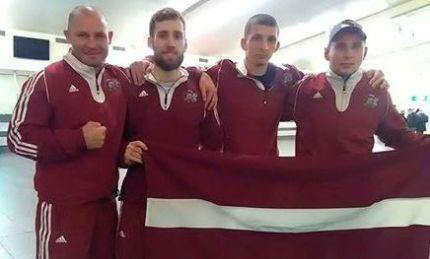 15-17 November 2014 Latvian sportsmen participated in the European MMA Championship 2014 held in Baku, Azerbaijan. It was only two competitors from Latvia in this championship, it was Vitaly Melnikov (weight class -65,8kg) and Vadim Shpakov (-70,3kg). Unfortunately, our association was unable to send more athletes, because of recently, a little more than a month ago, our large team participated in the World Championship in Minsk, Belarus. Our trip to Baku to European Championship was under big question, but fortunately we are supported by our friends and sponsors.